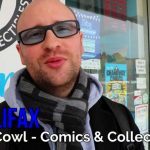 This week we are checking out Cape & Cowl Comics! 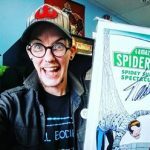 Not only do they have an amazing comic book store, they also do so much for the community, especially for youth. 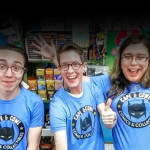 Cape & Cowl is so much more than a comic book store, they offer counciling for youth, D&D nights for anyone that wants to drop in, and Autisum Nova Scotia have D&D night, as well as they have yoga events and finally they host affordable birthday parties too. 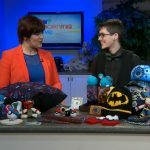 These are just a few of the ways Cape & Cowl are helping the community. You should definitely check them out! 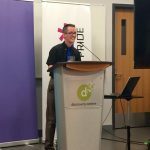 As a young person, Jay Aaron Roy could never have imagined he would one day be a speaker at Halifax Pride. 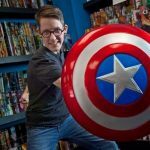 A pilot initiative to offer youth counselling out of a Halifax-area comic shop has taken off better than its collaborators expected. 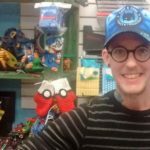 The owner of a comics shop in Lower Sackville, N.S., has put a “trans-owned business” sign in his window to make the space more visible for members of the LGBT community. 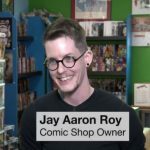 After winning the Silver Best Of Comic Shop award from The Coast, Jay Aaron Roy says his secret is listening to his customers. 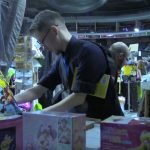 This is how NegaDave saw things this year at Hal-Con! We had so much fun! As part of our crowdfunder for ‘Drawing the Line: Indian Women Fight Back’, Ad Astra Comix agreed to do a workshop in Halifax, Nova Scotia. One of the attendees was Jay Aaron Roy, who runs Cape and Cowl, a comics shop in Lower Sackville, Nova Scotia. We visited C&C on our way back to Ontario and were so impressed that we decided we wanted to do an interview featuring Jay’s work there.